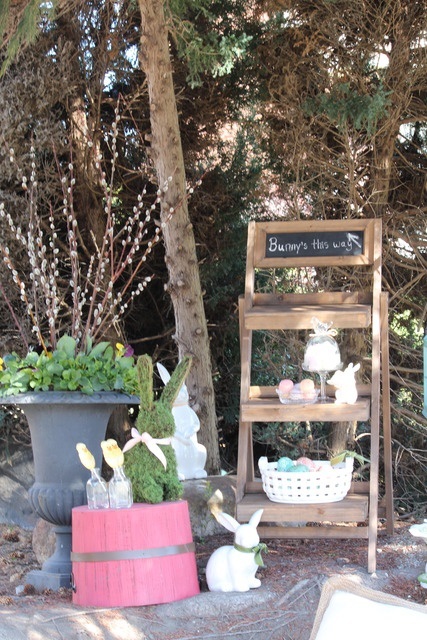 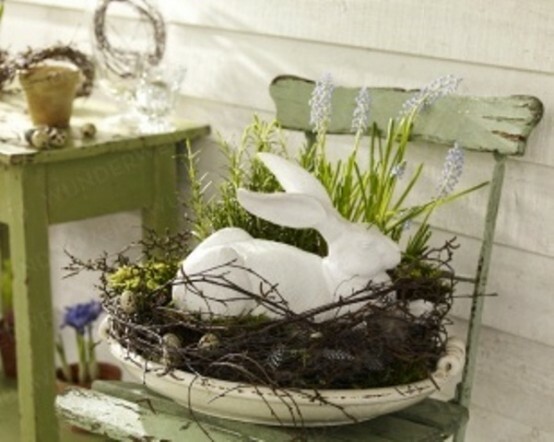 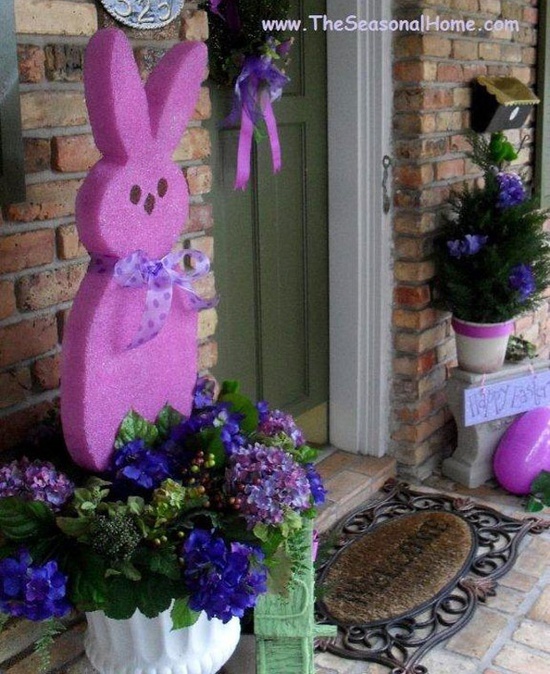 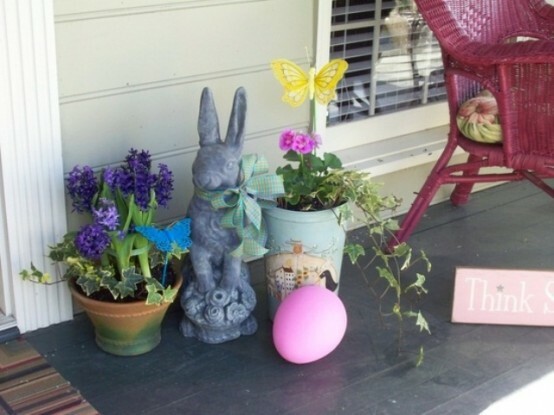 Easter décor should make you happy not only be inside but also outside! 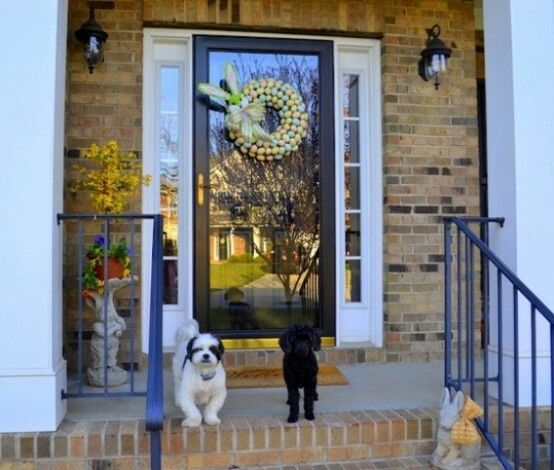 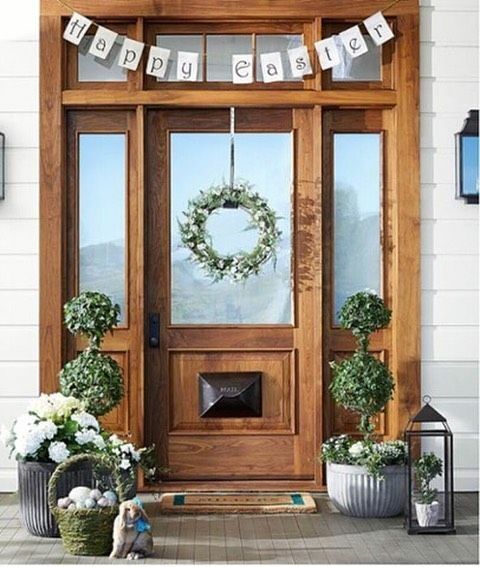 Decorate your porch and patio with some pretty accessories and wreaths to make the atmosphere more holiday-like. 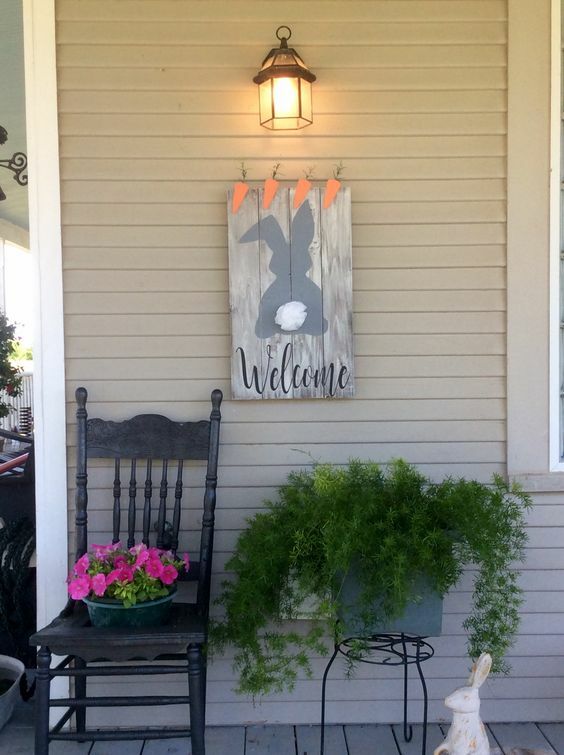 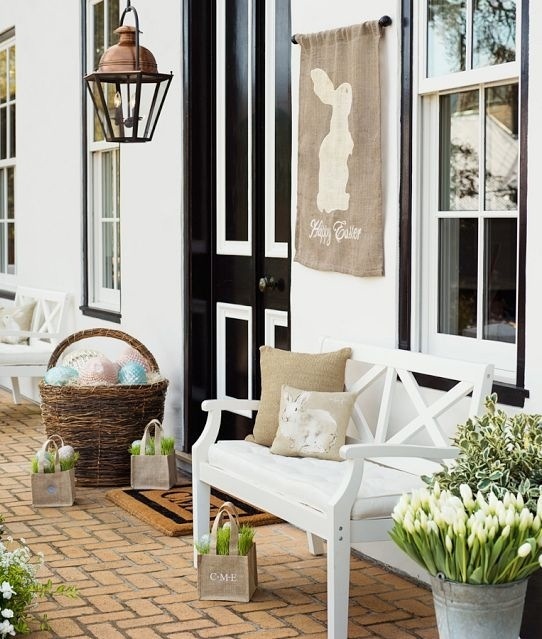 Burlap banners with rabbits, big baskets and nests with colorful eggs, add fresh spring flowers like daffodils and voila – your Easter porch is ready! 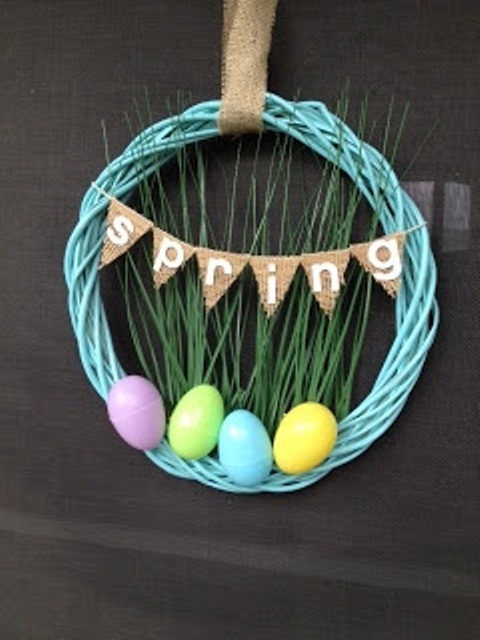 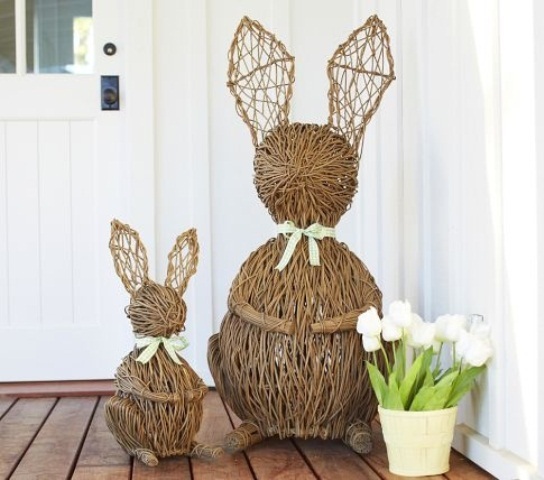 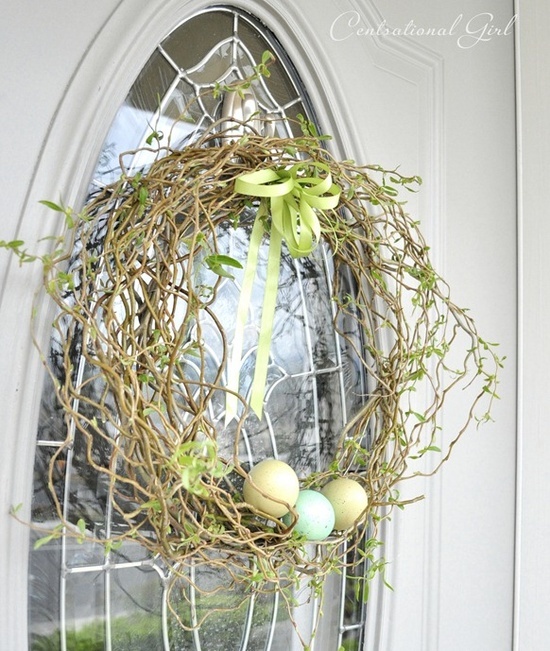 Make some creative wreaths of fresh branches and eggs, flowers and rabbit figures. 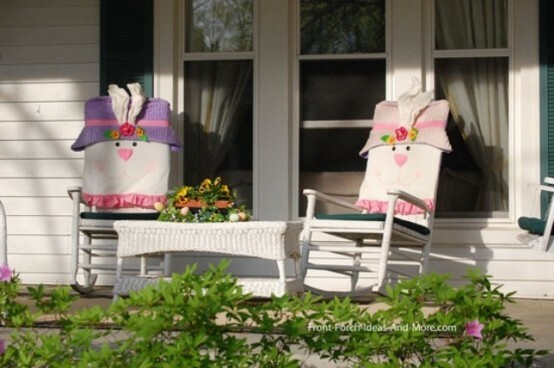 You can even lay a table on the porch, put some comfortable armchairs and enjoy your Easter meal closer to nature. 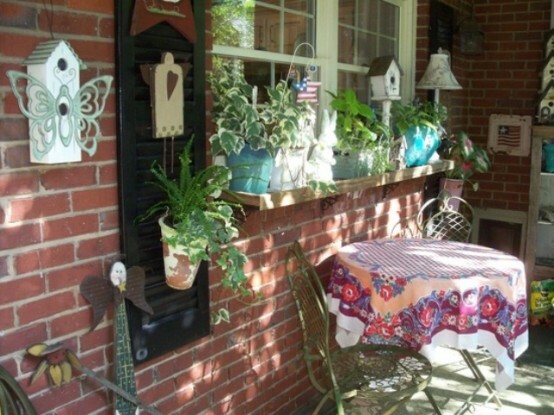 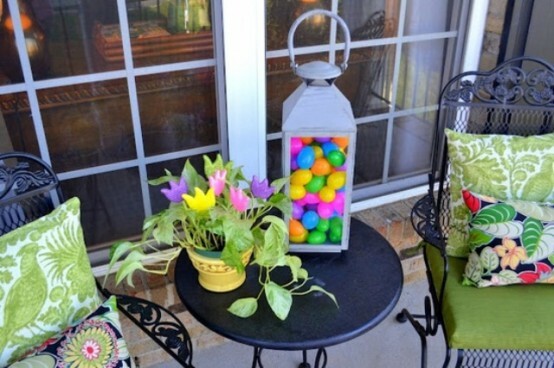 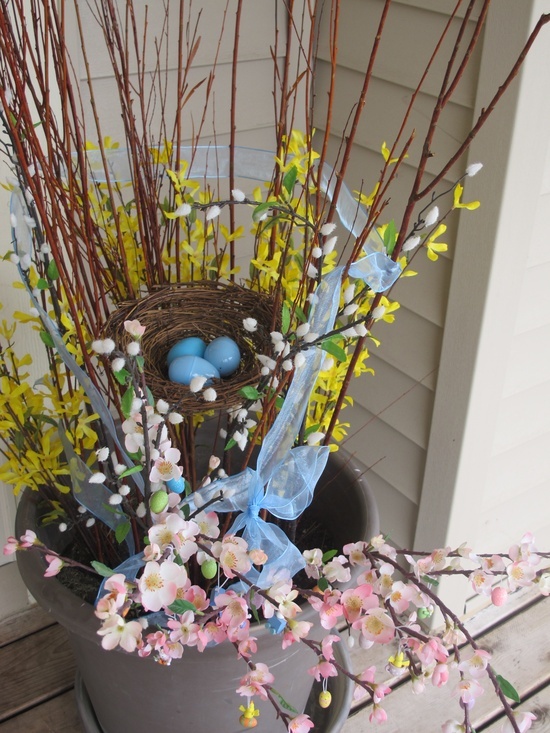 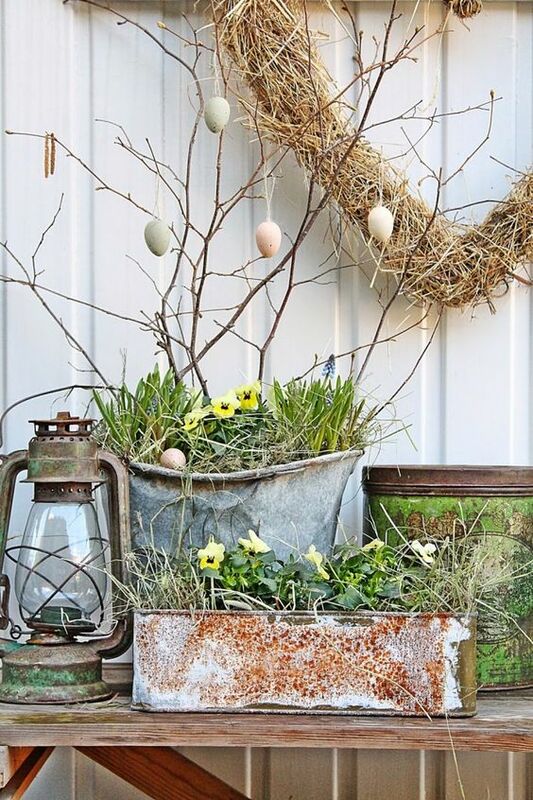 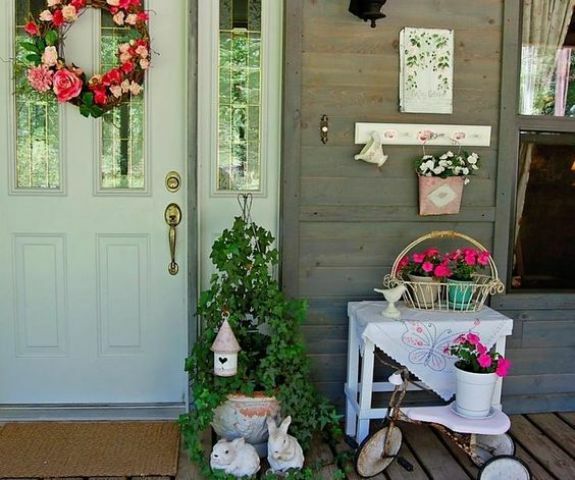 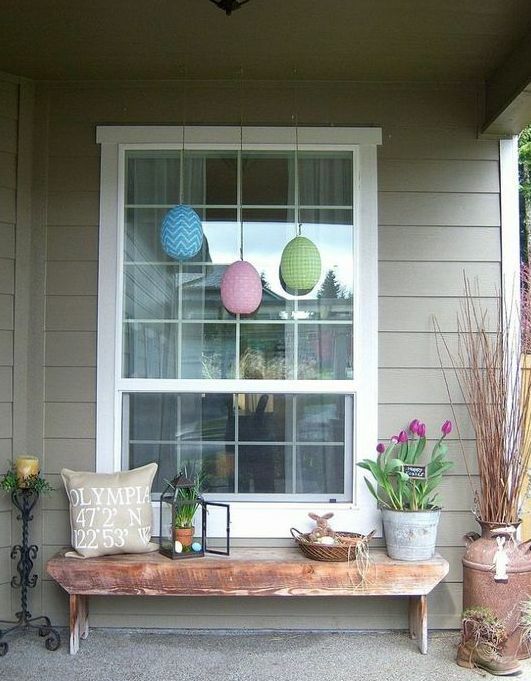 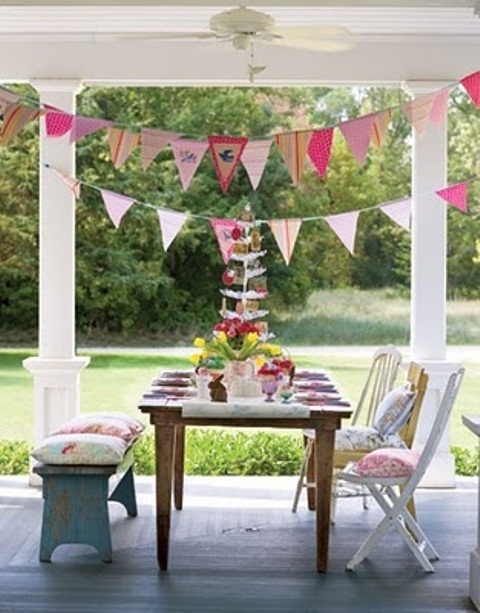 Look at some more ideas we’ve gathered for you and decorate your own porch in Easter way! 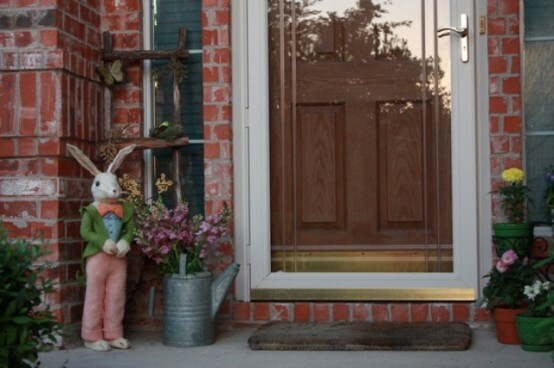 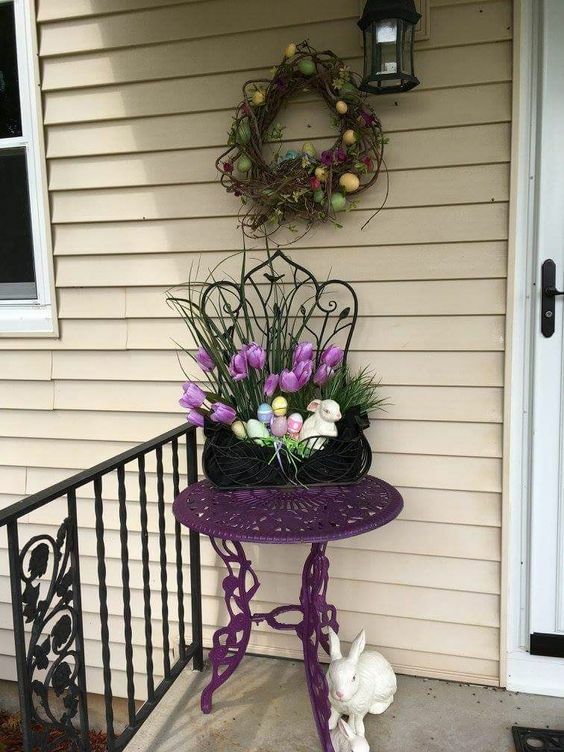 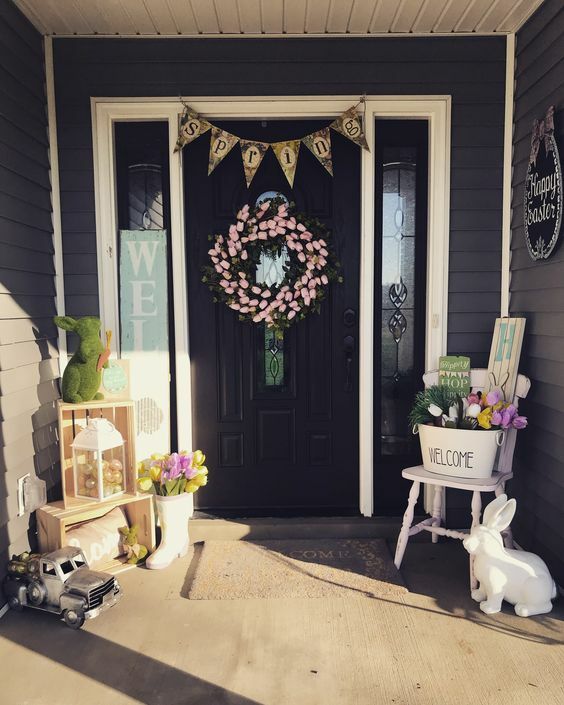 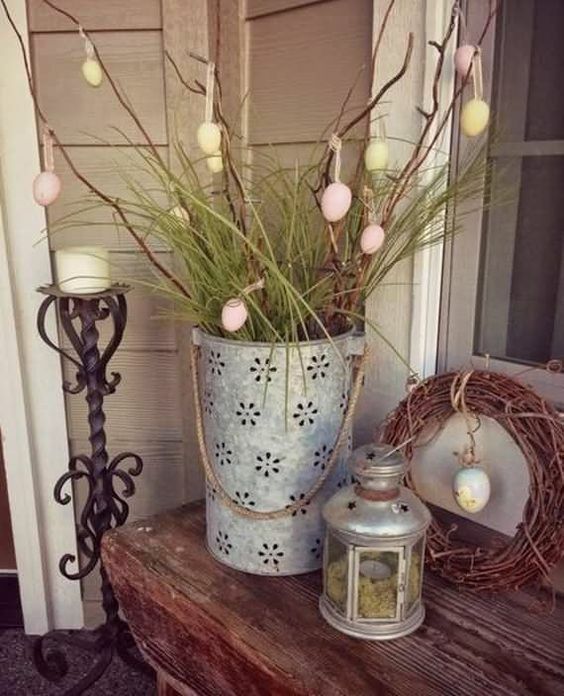 How to style a porch for Easter? 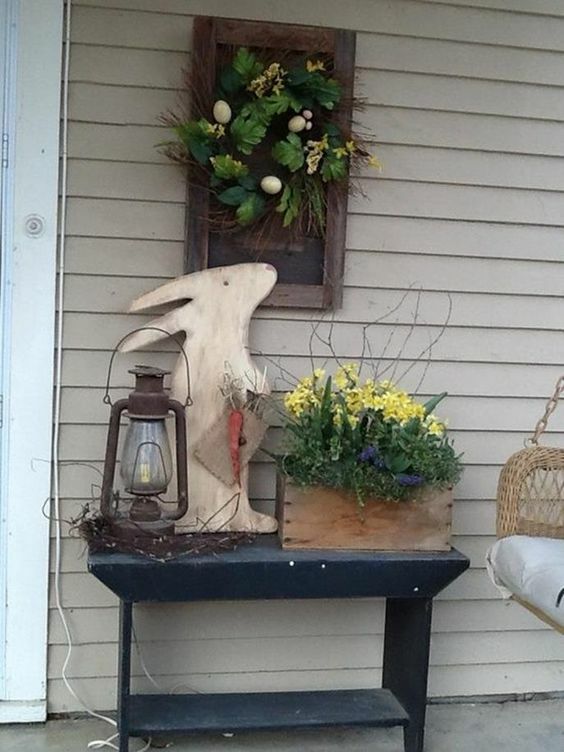 Well, there are many ways to create a cozy holiday ambience hinting on spring at the same time. 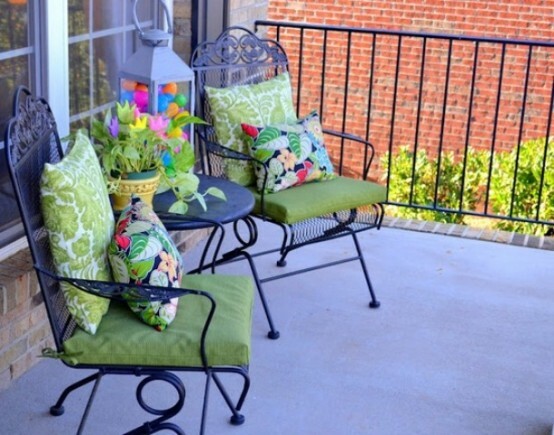 Place some furniture – a bench, some rocking chairs, stools, or even a table and some chairs. 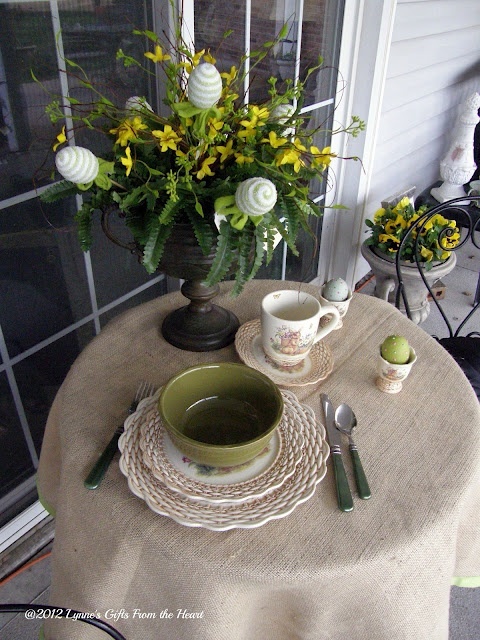 If you want to have meals or tea on the porch, consider laying the table with stylish pastel porcelain and Easter napkins. 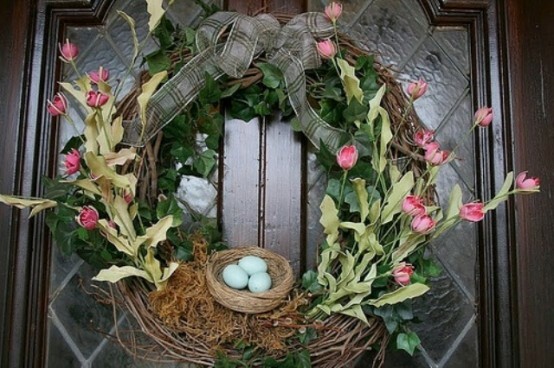 Add spring bulbs – potted or in vases, go for much greenery, cascading or not, a colorful eater wreath or greenery wreath with some pastel egg. 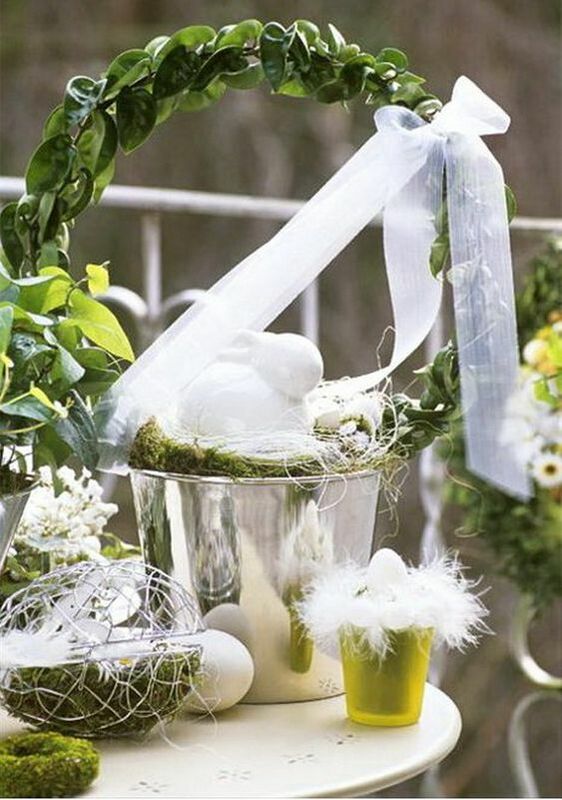 If you prefer modern decor, you may go for only greenery and greenery topiaries, wreaths and garlands with just some blooms in pots or with moss balls around. 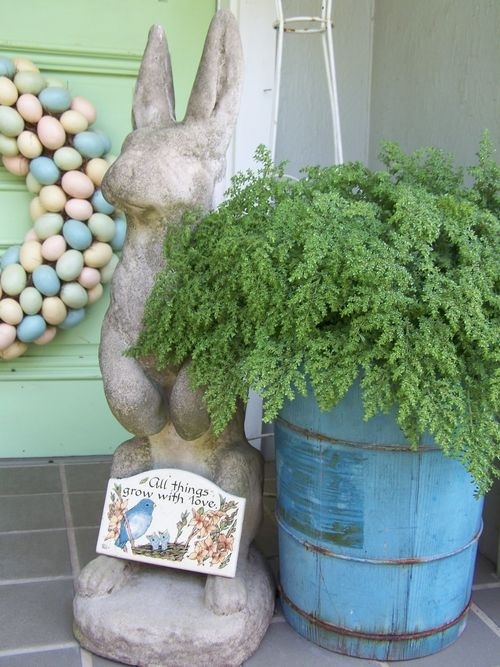 Go for some bunnies – they can be on signs, artworks, as figurines here and there and even toys. 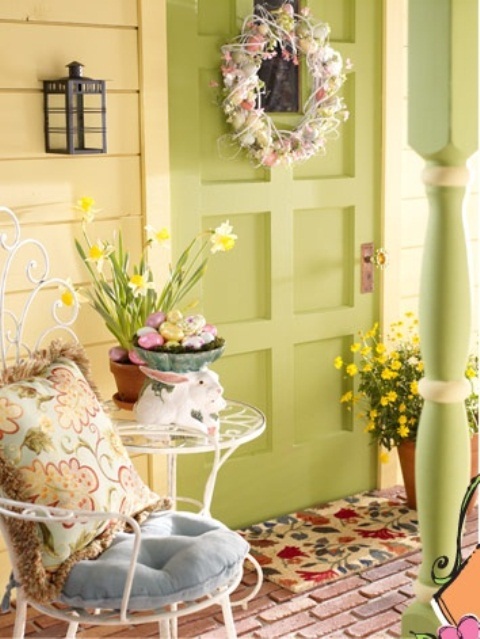 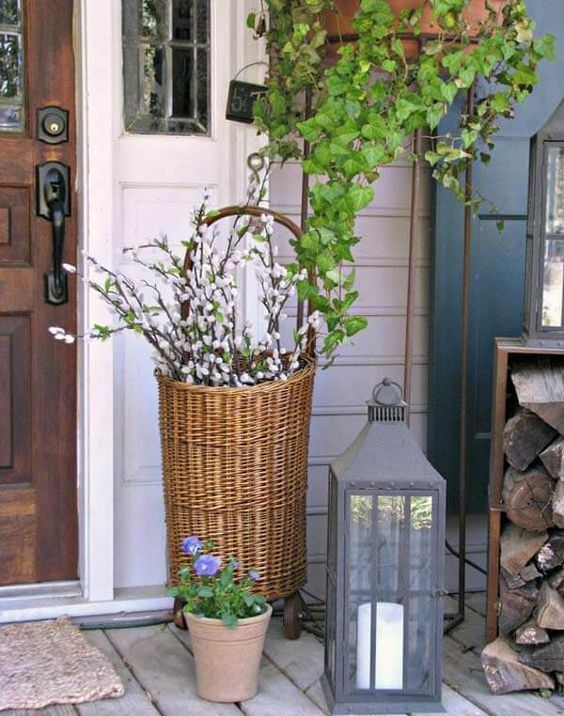 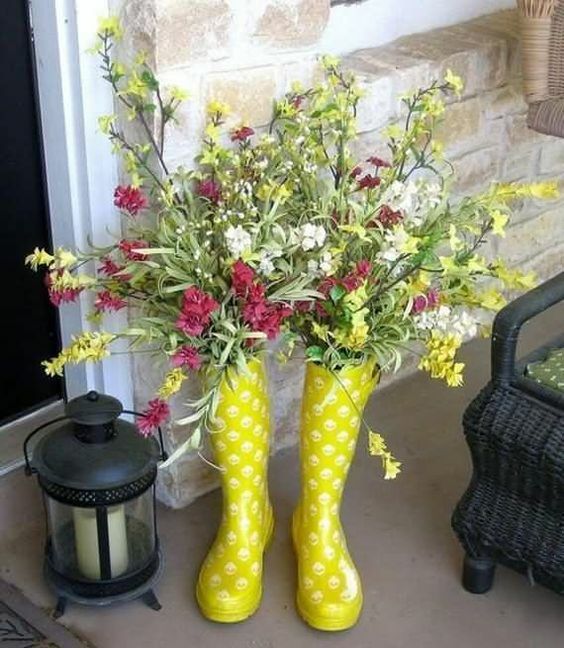 What else can you add to bring that spring feel to the porch? 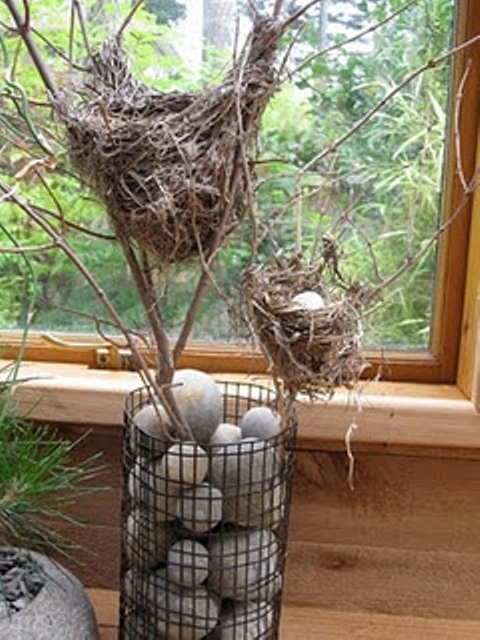 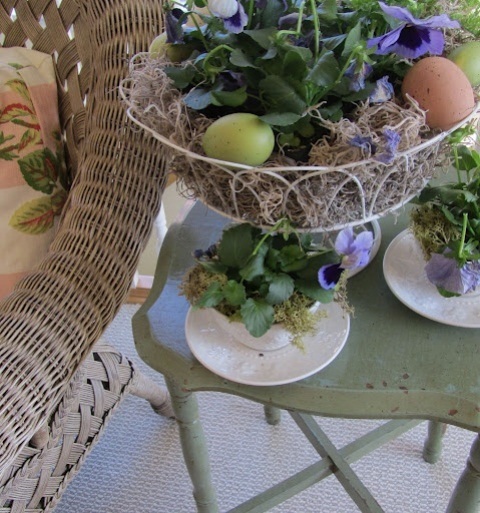 Faux chickens, eggs, which are a hit, buntings, baskets with moss and blooms and much more. 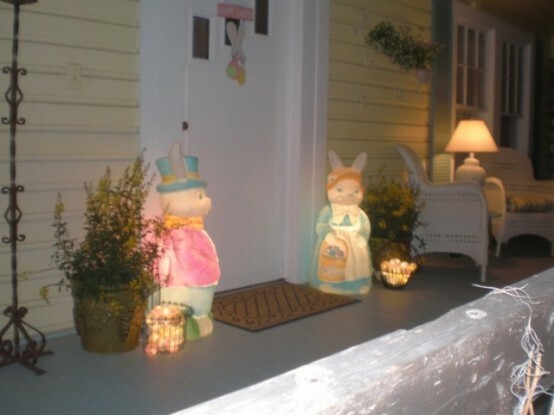 What about lights? 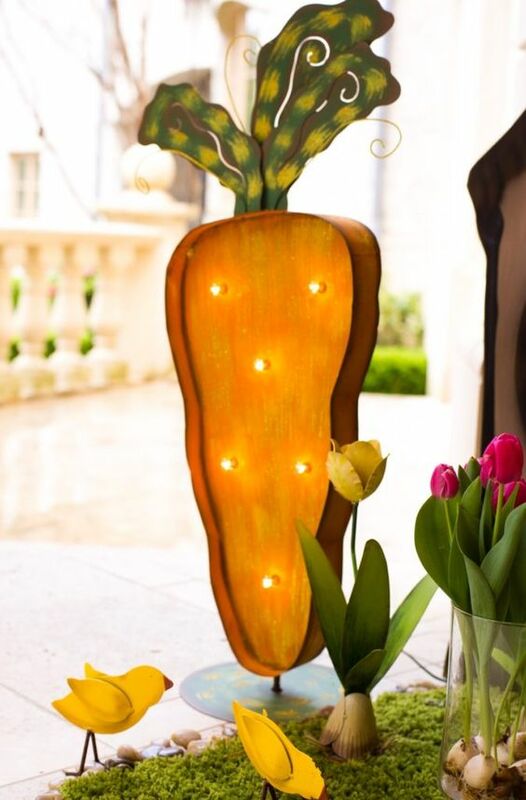 You may go for spring-inspired marquees shaped as bunnies, carrots, chickens and blooms or for some lanterns with candles and faux eggs inside. 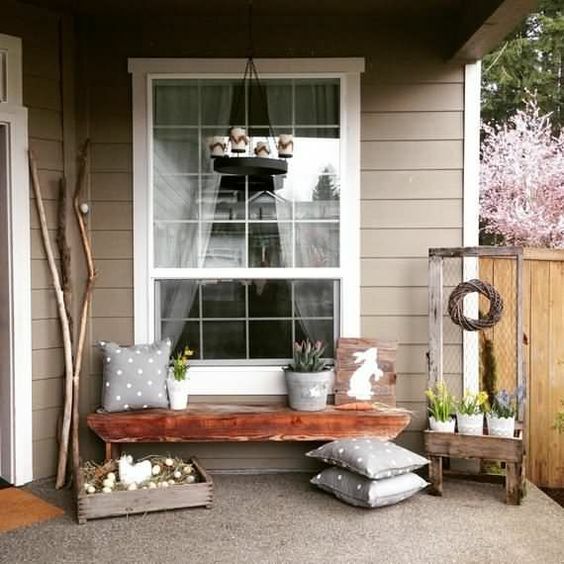 Sometimes decorating the whole porch isn’t’ necessary or you just don’t’ have much space to decorate. 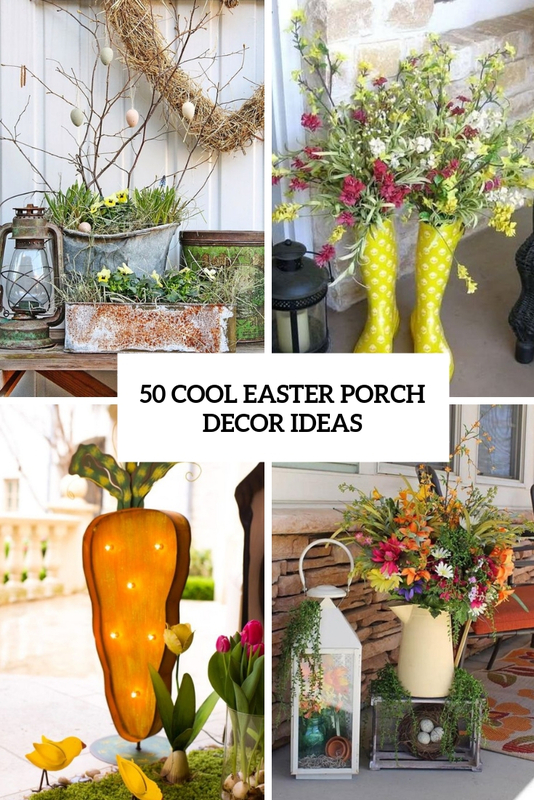 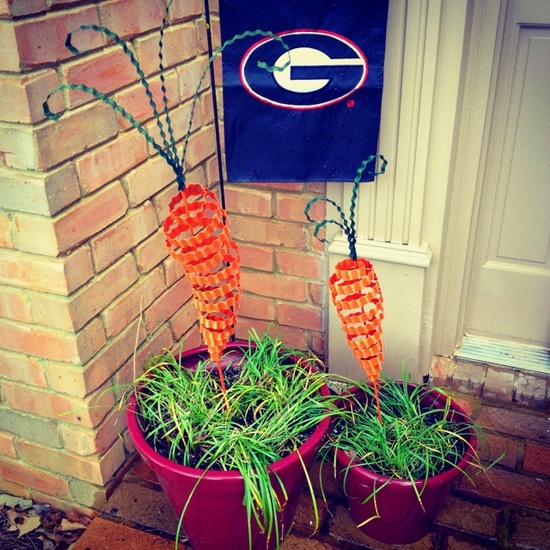 Add some decor to the porch, and that’s it! 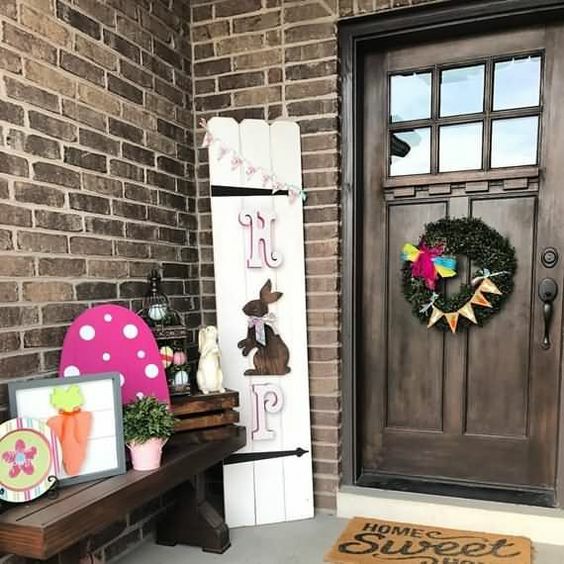 it may be a crate with potted greenery and blooms, a couple of faux bunnies, an egg wreath and a bunting of burlap, colorful rubber boots with bright spring blooms, a ladder with fake eggs and bunnies and much more. 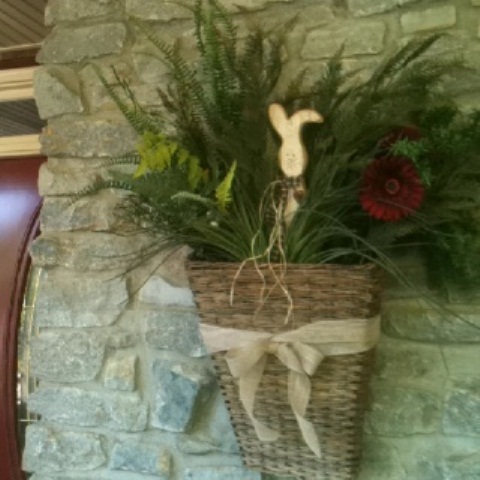 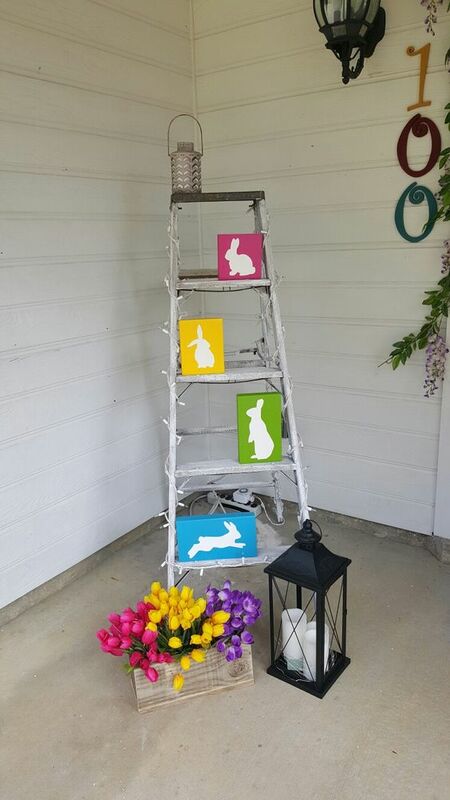 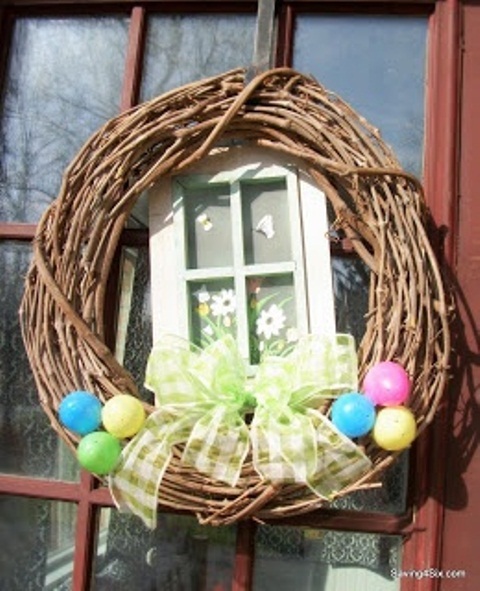 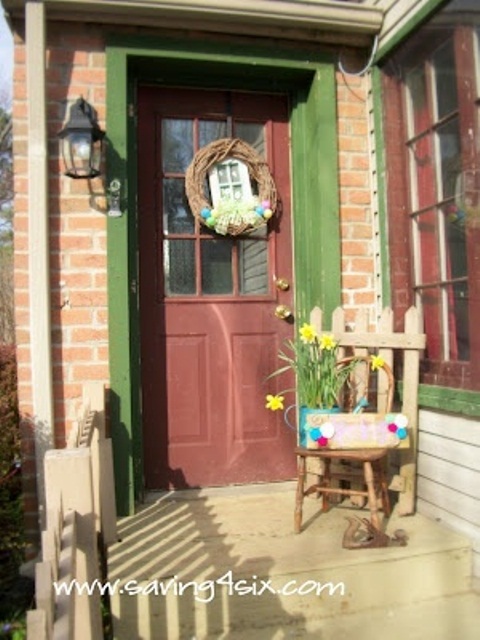 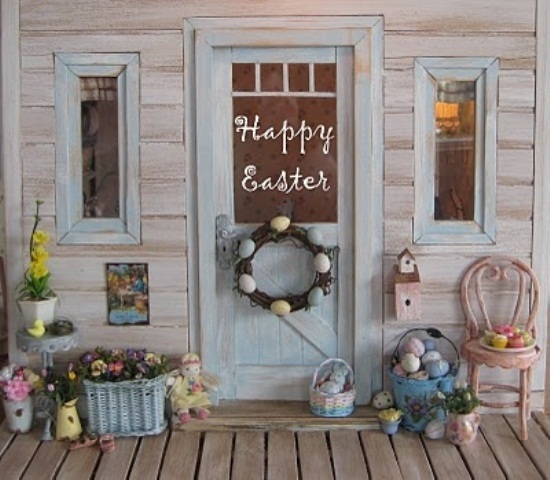 A cute Easter wreath with bunnies and eggs will easily add an Easter flavor to the porch. 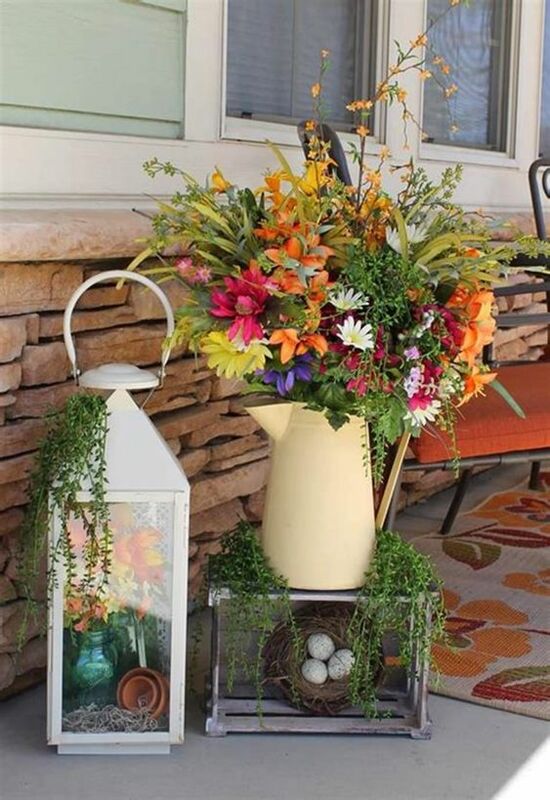 Don’t forget that even a single floral arrangement in a basket, bucket, bowl or else or much potted greenery are right what you need to bring a spring feel to your porch. 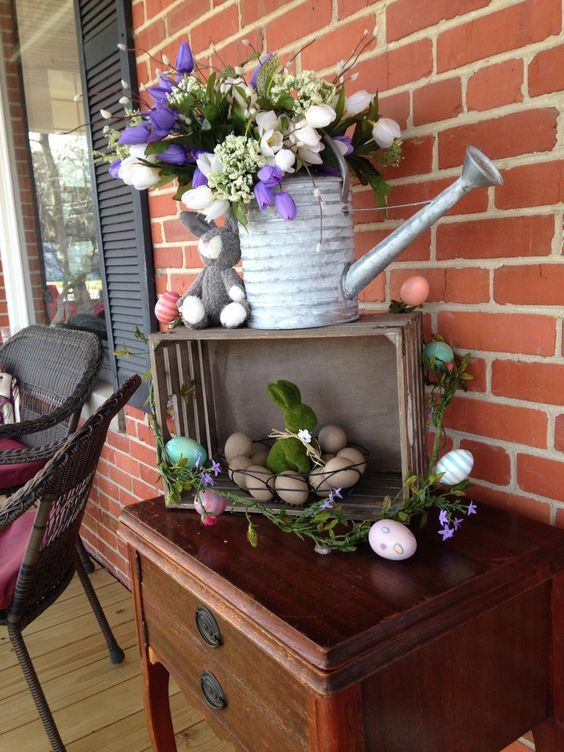 Add colorful eggs or bunnies to the arrangement, and voila – it’s an Easter-inspired one. 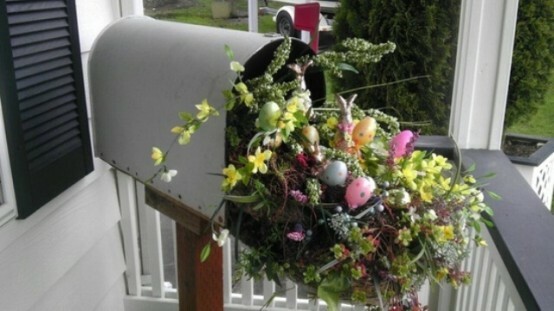 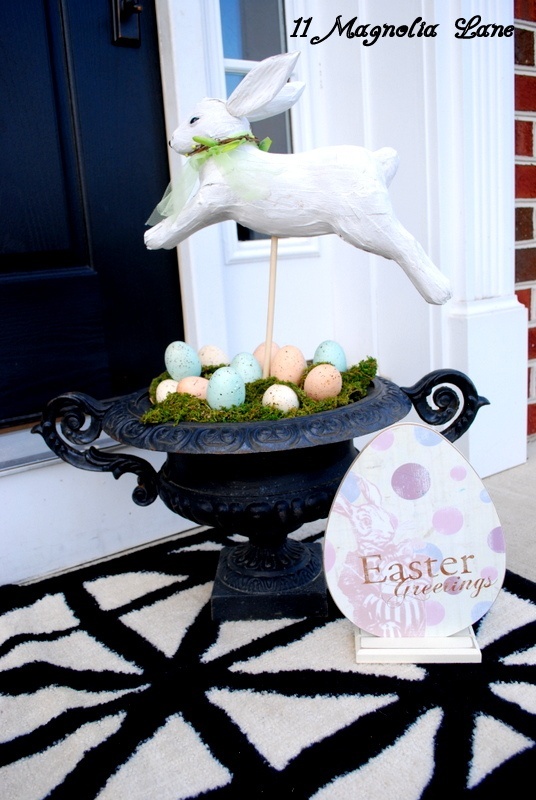 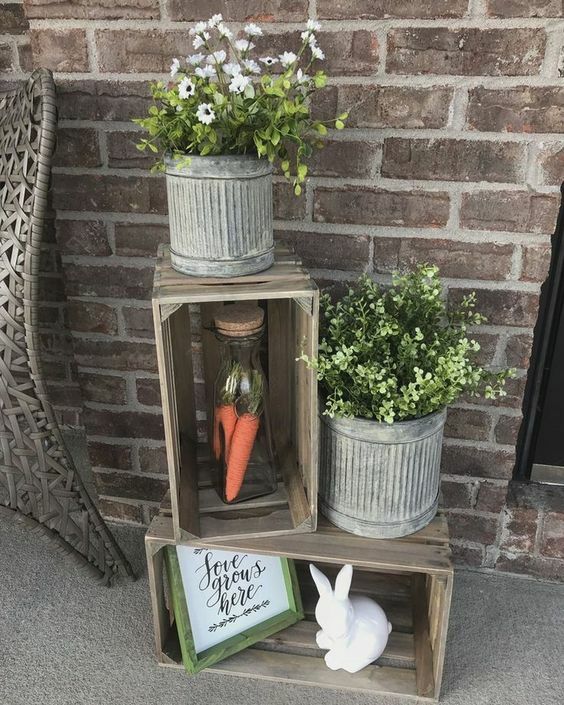 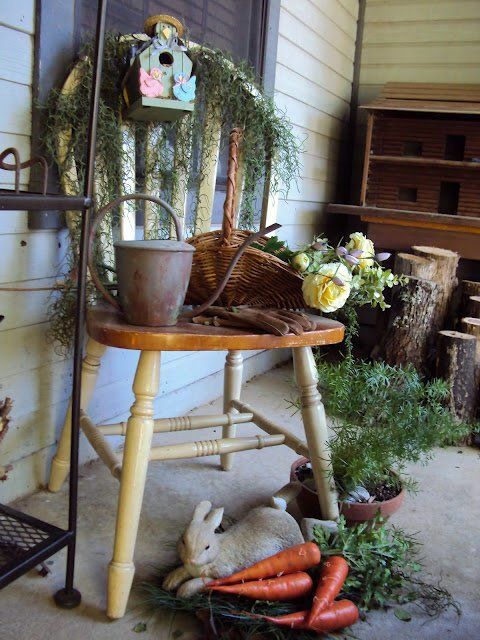 Go creative making a mail box filled with flowers and greenery, bring some vine bunnies to decorate the porch, create a duo of planters filled with grass or moss and with fake bunnies on top or a faux nest with colorful eggs to make Easter decor bright.